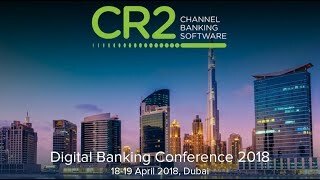 CR2 is a privately held, independent global banking software company, providing specialised products to the banking industry in over 60 countries worldwide. Incorporated in Ireland and founded in 1997, it offers digital and ATM channels that provide personalised services built upon an integrated, omnichannel, digital banking platform known as 'BankWorld'. BankWorld features mobile and internet technology for retail and corporate customers - a fully integrated ATM application including switch, card management, production, monitoring, screen design, support tools as well as POS (or point of sale) acquiring and payment systems - SMS push and pull and USSD, and built with APIs that enable third-party channel integration and innovation. Headquartered in Dublin, Ireland, CR2 has a network of international offices in London, Lagos, Johannesburg, Cairo, Amman, Dubai, Bengaluru, Singapore and Perth. To find out more about CR2, please visit: www.cr2.com or follow us on Twitter @CR2banking.